The FCC has slapped hotels and other organizations with nearly $2.1 million in fines since the fall of 2014 for blocking patrons’ portable Wi-Fi hotspots in the name of IT security, or more likely, to gouge customers for Internet service. But Network World’s examination of more than a year’s worth of consumer complaints to the FCC about Wi-Fi jamming shows that not all venue operators are getting the message (see infographic below). Indeed, more than half of the 50-plus complaints whose contents we pored through following a Freedom of Information Act (FOIA) request to the FCC came within the few months after the FCC’s initial action on this matter, a $600,000 fine on Marriott in October of 2014. Another two dozen complaints trickled in to the FCC in 2015 – a year that began with the FCC serving stern notice that Wi-Fi blocking is prohibited and ended with the agency dishing out a $718,000 fine to big electrical contracting company M.C. Dean for blocking consumers’ Wi-Fi connections and a $25,000 fine to Hilton Worldwide for “apparent obstruction of an investigation” into whether Hilton blocked consumers’ Wi-Fi devices. The spectrum used by Wi-Fi is unlicensed, and therefore available for broad use. Complainants’ identities were redacted by the FCC Consumer & Governmental Affairs Bureau in the documents delivered to us via the FOIA request, and just because a complaint or comment was filed does not mean that an FCC violation occurred. 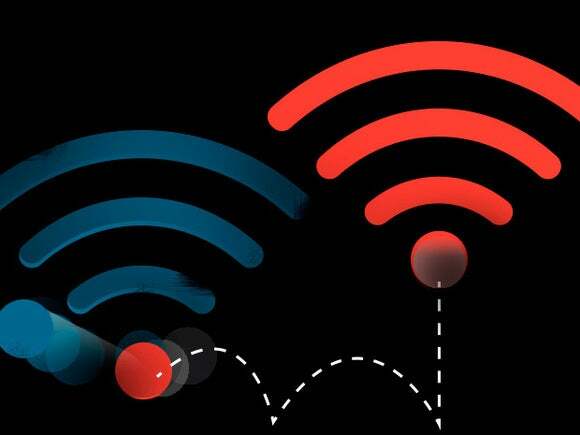 However, the complaints as a whole do paint a picture of a problem that is both widespread geographically and in terms of where suspected Wi-Fi hotspot blocking has taken place. No doubt others have experienced Wi-Fi blocking with personal hotspot devices supplied by the likes of AT&T or Verizon and didn’t complain to the FCC because they didn’t feel like it, didn’t realize there was an FCC consumer complaint site and hotline, or didn’t even know they were being stymied. Big name hospitality outfits, from Sheraton to Motel 6, were named, with one person describing a Motel 6 Wi-Fi network in Denver as acting “like a virus… [It] would not remain disconnected” and allow the patron to use his or her hotspot. Casinos, airports and lesser-known organizations were also complained about, with several people critical of Boingo at airports. One complaint even suggested a big retailer was blocking customer Wi-Fi so as to force them onto a store network that would allow patrons’ movements and search engine inquiries to be tracked. The hospitality and convention industries have been made well aware that Wi-Fi blocking is not allowed (here’s a warning issued by one hotel lawyer). It remains to be seen whether Wi-Fi Blocking will be a topic of any continued attention at hospitality/lodging industry conventions, such as this June’s big Hospitality Industry Technology Exposition & Conference, which hasn’t yet posted its agenda. However, HITEC does highlight a 2015 Lodging Technology Implementation report on its site that guest Wi-Fi is the top in-room technology that survey respondents from the hospitality industry said they thought was worth investing in. Given that the hospitality industry’s blocking antics extend from Wi-Fi hotspot devices to press inquiries, we went directly to the consumers, by way of the FOIA request to the FCC. Perusing the consumer complaints makes for illuminating reading, even though some of the comments are only a sentence or two long, most with identifying information about the venue in question (some 200 of the 250 or so total complaints included in the FOIA request package related more to other aspects of Wi-Fi blocking, largely having to do with dissatisfaction with ISPs' promises, and you can see all of the documents embedded into the end of this article). Complaints were collected via online forms as well as via a telephone hotline, and it’s clear that many of the objections were the products of an increasingly tech-savvy public. Download the PDF using the link below. Eight of the complaints at non-Marriott hotels made reference to the FCC's Marriott case, which clearly raised awareness of the Wi-Fi jamming practice.